NEW DELHI --- The euphoria within the defence establishment over the induction of the first indigenous Light Combat Aircraft into the IAF appears to have subsided with the Defence Ministry forming a committee to look into the “high price” demanded by Bengaluru-based public sector manufacturer, Hindustan Aeronautics Limited (HAL), for Tejas Mark1A. Sources told The Indian Express that in response to a request for a proposal for 83 Tejas Mark1A fighter jets issued by the IAF in December last year, HAL quoted a price of Rs 463 crore per jet in April. This raised eyebrows in the government, sources said, as the price compared unfavourably even with more modern foreign fighters. “The HAL supplies the more modern Russian Sukhoi fighter, which it assembles at Nashik, at Rs 415 crore. The Russians supply it at Rs 330 crore. The Swedish Gripen was offered to us for Rs 455 crore, and F-16 for Rs 380 crore, and both were to be made in India. The HAL itself gave us Tejas Mark1 at Rs 100 crore less. This price for an improved version seems high,” sources said. Concerned about the price for an indigenous fighter jet, which the government has been keen to promote under Make in India scheme, the committee set up by the Defence Ministry will look into the pricing of military equipment manufactured by defence PSUs. The committee is headed by Principal Advisor (Cost) in the ministry and is likely to submit its report in the next few weeks. Once the committee submits its report, the ministry will form a commercial negotiations committee (CNC) to bring down HAL’s price for the jet. The contract for 83 jets, sources said, will take another year before it is finally signed. According to sources, the Defence Ministry is also concerned about the delay in supply of the existing order of the first lot of 40 Tejas fighter jets. In last three years, only nine fighter jets in Initial Operational Clearance (IOC) mode were supplied against an order of 20. The order for another 20 Tejas jets in Final Operational Clearance (FOC) has not even begun, as the FOC has not yet been attained by the aircraft. 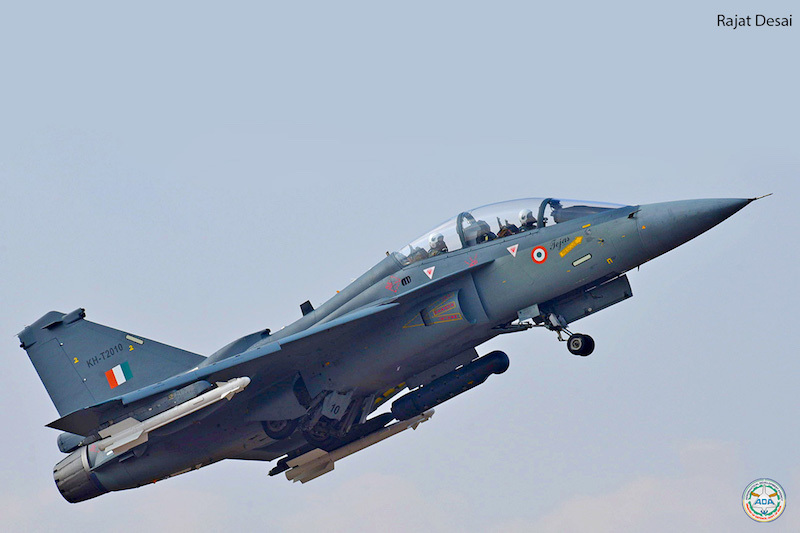 The ministry has also agreed that the HAL will supply eight trainer aircraft out of 40, after the 36 Tejas Mark1 have been supplied. Click here for the full story, on the Indian Express website.